Tim Raley college run at Wichita State University earned him a spot in the school's Hall of Fame in 2011. His name remained in the school's record books a quarter century after he last played, still top-five then in hits, triples, runs scored and walks, according to GoShockers.com. "It felt odd, just something I wasn't thinking about or expecting but it was great to get the news," Raley told GoShockers.com of his reaction to the news. "Being honored with the induction into the Shocker Hall of Fame caps off my career, but I never played for the awards or the honors." Raley went on from Wichita State to play as a pro for five seasons. He made AA, but he couldn't make it higher. Raley's pro career began in 1987, taken by the Brewers in the 27th round of the draft out of Wichita State. At Wichita State, Raley hit a home run in a May 1987 game. He also won collegiate baseball All-American honors that year, along with conference Player of the Year honors. Raley started with the Brewers at rookie Helena. He hit .337 over 59 games. He knocked a two-run double in an August game against Salt Lake. 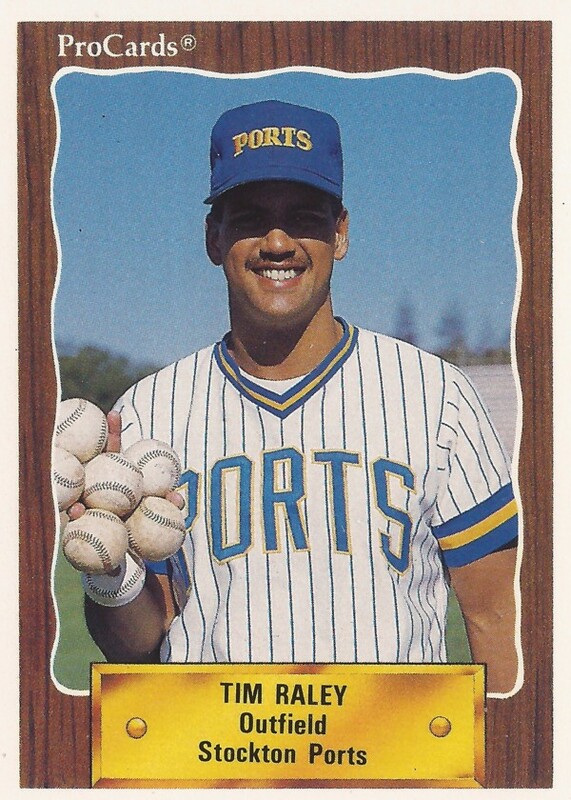 He played 1988 at single-A Beloit. He hit .280 there. He then moved to single-A Stockton for 1989 and 1990. He picked up two hits in a July 1990 game. Raley's final season came in 1991 with the Orioles at AA Hagerstown. He had a two-run triple in an April game. He then went 9 for 17 one week in July, hitting four doubles and a home run. He hit .244 over 80 games, ending his career. Raley's son Patrick Raley has since followed his father into baseball, at least the college game. Patrick Raley played his senior season at UNC Charlotte in 2015.